'Sparks fly when attorney Kathy Brooks agrees to represent novelist Charles Morgan, Jr. in a high-profile suit against a powerful government defense contractor. But when Charles’ hidden agenda threatens to expose the government’s dirty little secrets, what started out as the case of a lifetime could cost Kathy her heart, her career and even her life. 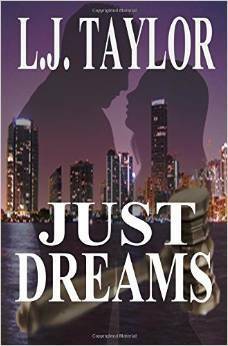 A fast paced legal thriller with a little bit of romance mixed in. The characters are like-able and well developed. Very little drama takes place inside the courtroom. Instead, Kathy has to fight to get the case to trial at the same time as dealing with all kinds of machinations by opposing council, both legal and illegal. One thing she can't fight though is her attraction to her client. Charles, however is not against breaking a few rules himself which only complicates matters. Kathy's career is put in jeopardy when she is caught in a compromising situation. The government contractor will stop at nothing to quash the case and before long Kathy's hard work is spiraling apart a midst blackmail and dead witnesses. However, the duo refuse to give in and they use all resources available to them to find a winning conclusion. As the contractor gets desperate there is a rush against time to save lives in a suspense filled ending. An impressive debut novel. Immensely enjoyable, I liked this book a lot. There was so much action it was difficult to put it down. The characters were great. I particularly enjoyed the supporting characters, especially Kathy's sister. I await her story in eager anticipation.